Water is the source of life here on Earth. It is the basis of all living things. Not only is it apart of us, but we drink it, grow food with it, and even spend time having fun in it. Whether it’s a weekend at the lake or surfing the big waves of California, water draws a serious crowd. The surface of the water can appear tranquil, inspirational and beautiful. However, what moves below the surface is a whole different story. Among the plant life, water systems are a rich place of biodiversity and animal life. Many creatures lurk unnoticed in the deep dark oceans, lakes and rivers. Some are harmless, but some are definitely not. Take a look what we found creeping under water. 20. 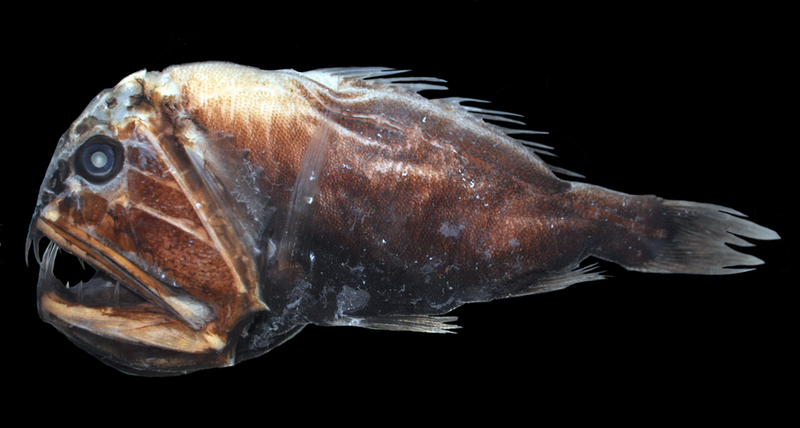 The Fangtooth fish coming in at a whooping size of only 6 inches. These fish may be small but they are mighty! Their teeth are the largest of any fish in proportion to their body size. You wouldn’t want to be snapped by these fangs. Another reason this fish is one of the toughest kids in the ocean block is that they are a deep water living fish. They have been seen at 1,640 feet below sea level. The pressure that deep is 500 times greater than the atmospheric pressure on land. A pressure so great that it would devastate the human body. It is a harsh environment with extreme pressure and little light. 19. Possibly a cousin to the Fangtooth Fish, Pacific Viperfish’s teeth are so large that these fish are unable to even close their mouth. Their lower jaw is equipped with fangs that protrude. The Viperfish attacks its prey by its calling to an un-expecting victim with its growling belly. They typically live deep in the ocean up to 4,500 feet. 18. Hippopotamus or “Hippos” may look like large grey marshmallows, but they are actually considered one of the most dangerous large animals in Africa. You can find them cruising the rivers in search for their next meal. It is common for them to attack humans on land or boat for no apparent reason. Check out those teeth! I guess hungry hungry hippos isn’t just a game. 17. Stingrays are stealthy wonders that glide through the water. They may appear to be threatening, but are not known to be violent. They tend to be lazy creatures. However, there have been cases of severe injury, even death, involving stingrays. Their large pointy stinger carries venom and is used as a weapon when threatened. 16. The Giant Pacific Octopus is the largest octopus in the world. The 6 armed, 2-legged beast can stretch their tentacles up to 20 feet long. Its best trick is using camouflaging and blending in with their environment. You wouldn’t want to be surprised by a slimy 20-foot tentacle wrapping its way around you. 15. The crab spider is the largest crab on earth. They typical live up to 1,000ft below sea level. Deep in the dark ocean they can spotted and measured at 12ft from claw to claw tip.